To all of you who support Hinduism Today—and the Production Fund that sustains it financially—we send you our warmest wishes for this coming season of holidays. May your satisfaction and joy abound. Om. 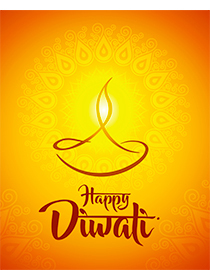 Publisher Satguru Bodhinatha Veylanswami and the team of swamis who oversee Hindu Heritage Endowment and the Production Fund wish you a scintillating Diwali. Our readers often characterize our magazine as one of Hinduism's strongest voices, that it is a constant, invigorating stream of wisdom and knowledge. In this season of giving, please do remember Hinduism Today and support it generously. More below. Om. The heart of ayurveda is the fine art of pulse reading. Ayurveda prescribes a wholesome lifestyle, a diet of fresh, pure, tasty foods and an endless array of herbal concoctions. The article, Applying ancient principles to our modern maladies in our Oct-Nov-Dec 2018 issue needs to be read and shared widely. It can lead toward much relief for oneself and restore one's natural joy of living. Ayurveda is powerfully presented in this masterpiece by reporter extraordinaire Rajiv Malik (pictured above). One source of ayurveda's effectiveness is that it diagnoses and treats the whole person, including his or her spiritual nature. 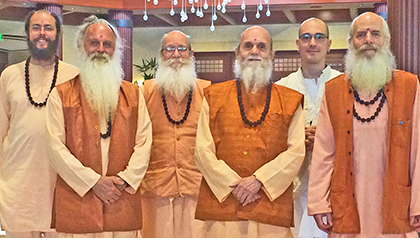 We at Hinduism Today envision a similar future for the magazine as for Hinduism itself, where both are prospering, well known, respected, appreciated and broadly welcomed to weave their magic. 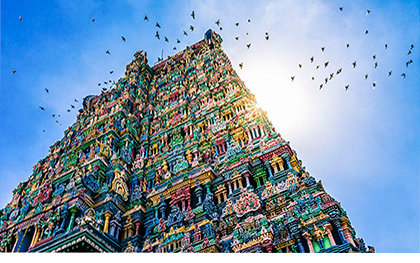 The most effective way to support Hinduism Today is to give to its Production Fund (Fund #20 of the Hindu Heritage Endowment, HHE). Our publisher, Satguru Bodhinatha Veylanswami and his Hinduism Today/HHE staffs have calculated what it will take to make the magazine financially independent, regardless of any worldly up or downs. When enough donors have told us that they have included the Fund in their estate plan so that their collective gifts amount to USD 5 million, then we will know Hinduism Today's future is solid and secure. So far, we have been told of 1.5 million of such gifts. So, we have 3.5 million to go. 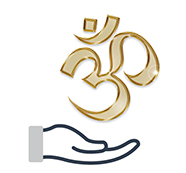 In this season of giving, please consider supporting Hinduism Today in this way. It will be a great gift to Hinduism and to the world, one that will grow in power for good as time goes on. Do contact us and let us know you thoughts. Your doing so will be yet another fine gift from you. Dhanyavat. Share in the vision of our publisher Satguru Bodhinatha Veylanswami here and here. The best we can offer you on this joyous occasion is to encourage you to read Diwali's two most wonderful aspects from our newsletter of last year. Share it with your family; they will be uplifted. Enjoy, and have a sweet 2018-2019 holiday season!